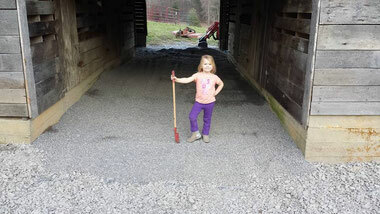 3/8/2016 Gravel Added.....Upgrades continue to happen on the property. Gravel has been added to the entire bottom level of the barn replacing the entire dirt floor. The new gravel makes everything look very fresh and clean.